2015. Agriculture in the Central Asian Bronze Age. 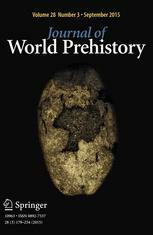 Journal of World Prehistory. Peer-reviewed. By the late third/early second millennium BC, increased interconnectivity in the mountains of Central Asia linked populations across Eurasia. This increasing interaction would later culminate in the Silk Road. While these populations are typically lumped together under the title of ‘nomads’, a growing corpus of data illustrates how diverse their economic strategies were, in many cases representing mixed agropastoral systems. These Central Asian low-investment agropastoralists are responsible for connecting the great centers of plant domestication, and through a process of experimentation and exchange shaped economies across the Old World. In this article, I synthesize the evidence for the movement of agricultural technology through this region, which ultimately brought southwest Asian and East Asian crops together for the first time. By the Late Bronze Age, a specific package of agricultural crops had developed across the entire mountain corridor, including broomcorn millet, peas, naked six-row barley, and highly compact free-threshing wheat. Each of these crops has a distinct narrative, and I approach the topic of their spread individually. I also show that agriculture did not spread across the steppe during the Bronze Age and that crops cultivated in the forest-steppe of Eastern Europe were distinct from those of the mountain corridor. This entry was posted in Articles and tagged agriculture, Bronze Age, Central Asia, Mountain Corridor, paleoethnobotany, pastoralism, Silk Road by robertspengler. Bookmark the permalink.